Heavy rains across Papua New Guinea on Thursday helped replenish water storage bins at the Manus Island detention centre. But food shortages are worrying the detainees, many of them from war-torn nations such as Afghanistan, Iran, Myanmar, Pakistan, Sri Lanka and Syria. For more than three days, about 600 men have barricaded themselves inside the camp on Papua New Guinea, defying efforts by Australia and PNG to shut it. They’ve vowed not to leave, saying they fear violence from the local community if tare sent to other “transit centres” on the island. New Zealand has became the first country to publicly offer to intercede. Prime Minister Jacinda Ardern has offered to take 150 refugees from Australia’s two remote Pacific detention centres. “I expect the situation on Manus Island will be discussed in my meeting with Prime Minister Turnbull on Sunday,” Arden said in an emailed statement. The offer could present Turnbull with a partial solution to the Manus Island stand-off, which the United Nations this week described as an “unfolding humanitarian emergency”. Australia has previously rejected a similar offer by former New Zealand Prime Minister John Key, citing the ability of asylum seekers to freely move to Australia after relocation. New Zealand residents are allowed to live in Australia without visas. But Australia’s centre-right government is pushing for tough new rules to ban any asylum seekers who arrived by boat after 2013 from ever being allowed into Australia, even as tourists. 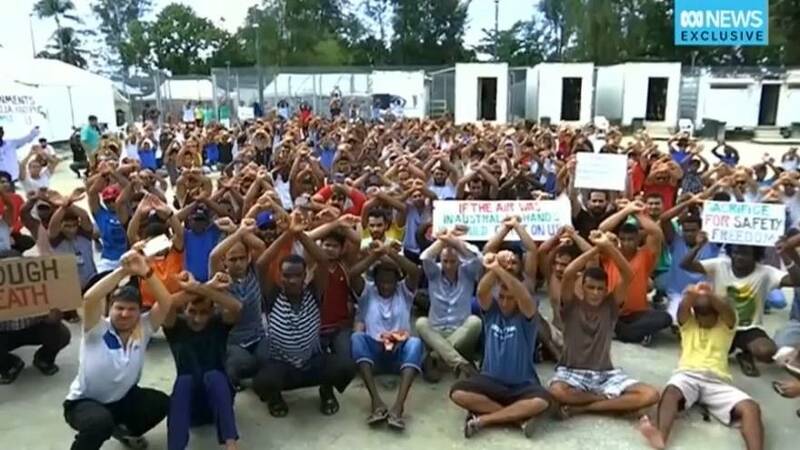 Mounting criticism has not deterred Australia from its plan to close the Manus Island centre, where it detains asylum seekers arriving by boat, as part of its controversial immigration policy, along with another in Nauru.